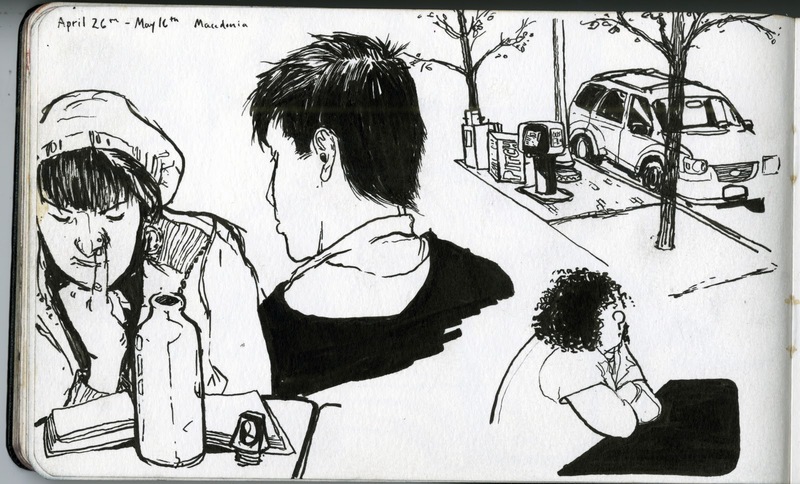 Stuart Bury: A day of sketches. twitter: I'm on it now. stu - i remember watching you draw the top right one, but i didn't study it very closely at the time. the line work is exquisite and i really enjoy the subdued palette. great work!